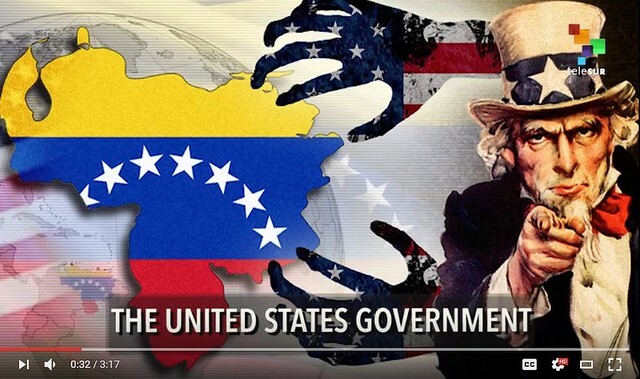 This entry was posted in All Posts News Politics and-or Videos, Capitalism, Dandelion Salad Videos, History, Imperialism, Propaganda, Revolution, Venezuela and tagged Chile, Coup d'état, Economic Warfare, NED, Nicolas Maduro, Salvador Allende, USAID. Bookmark the permalink. We had no business being in Chile, trying to overthrow an elected government, and we have no business in Venezuela trying to do the same. Socialism in Chile was imposed from the top down; whereas, in Venezuela it is much more of a grass roots movement. The wealthy oligarchy who skimmed Venezuelan petroleum wealth are the only ones trying to topple Maduro. The US wants Venezuelan petroleum, and want to get it without paying more than a mere token for it. This type of American foreign policy has to change or we will be locked into continued conflict with the rest of the world. China is going into Africa for the natural resources; however, they are putting in considerable infrastructure, and paying much more than American or European corporations whose sole intent is exploitation. You are absolutely correct Zachary. Muammar Gaddaffi asked his elected Parliament to pay off the debts owned to the IMF for 20 African nations. Everyone knows the US response. Unknown to most westerners Libya had an elected Parliamentary democracy.